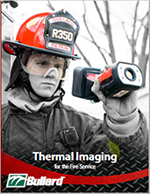 Bullard thermal imagers have all the features you expect. Our difference is that we design these features to work in concert with the task of firefighting. Colors on our Super Red Hot colorization are constant and predictable, enabling firefighters to better comprehend changing heat conditions and isolate the seat of the fire. Colors disappear only when the threat diminishes. The patented Electronic Thermal Throttle® (ETT) pinpoints heat sources in scenes. 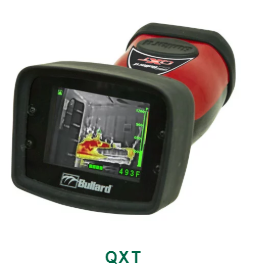 Beneficial in operations such as sizeup, overhaul, and hazmat, ETT saves time and effort by quickly identifying problem areas that could otherwise become active fires or rekindles.. Bullard has a wide range of innovative thermal imaging offerings that meet the specific needs of firefighters. 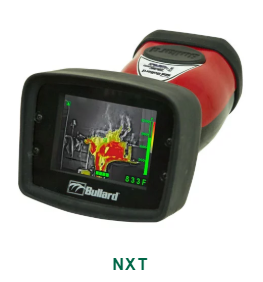 NFPA Certified Bullard NXT Thermal Imager offers firefighters X Factor technology & the industry’s longest battery run time. The Bullard QXT is designed not only for long-lasting service on the front line but also low total cost of ownership in the back office. 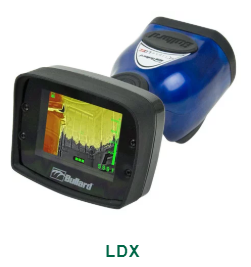 LDX is a sleek, compact thermal imager enhanced with the newest infrared engine technology and image processing techniques with a price that accommodates any budget.